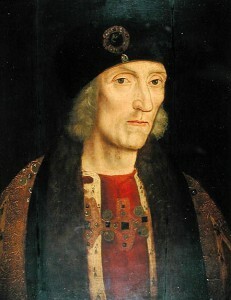 It was the Spring of 1509, King Henry VII lay dying in his bed surrounded by his most intimate courtiers and household. 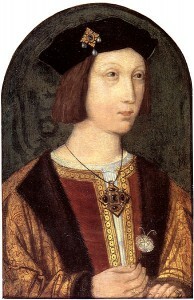 His son, the seventeen year old Prince of Wales would soon become the next King of England. King Henry VIII. 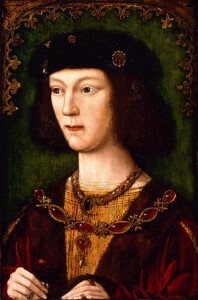 Henry, however, was never supposed to be heir apparent to the throne. He was raised as a ‘spare heir’ with his sisters, and his education was that of a second son and not that of someone who would someday become King. In the Spring of 1502 everything changed for Henry. His brother Arthur, Prince of Wales was dead and Henry was now his father’s heir. Henry’s priorities, at the age of seventeen, didn’t include ruling a kingdom. While he enjoyed being the all-powerful King of England he despised the tedious duties of kingship – he wanted to be a teenager, and have fun. 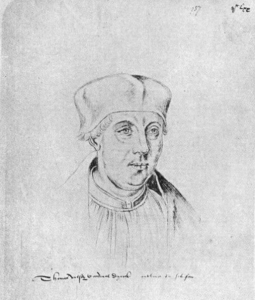 Thomas Wolsey had been a chaplain for Henry’s father and predecessor. He became an almoner upon Henry’s accession to the throne. An almoner was the king’s distributor of money to the poor. From there Wolsey’s duties and titles only grew and he became the man who made all the decisions that young Henry didn’t want to bother himself with. It was known at the time that Wolsey had a sexual relationship with a woman by the name of Joan Larke, or Mistress Larke. Joan was born around 1490 and was the daughter of Peter Larke of Huntingdonshire. At this time in England it wasn’t a requirement for men of the cloth to be celibate. So while this may have been frowned upon, it wasn’t against the rules. 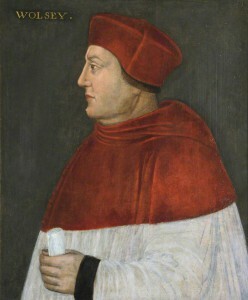 Wolsey kept their relationship under wraps, and whether he and Joan actually married has been disputed. Joan has been referred to as Wolsey’s mistress by multiple sources. Joan’s relationship with Wolsey is said to have lasted a decade, but when it exactly started was not documented. The below grant shows Wolsey was given a dwelling at St. Bride, on Fleet Street (London) in 1510. Wolsey and Larke would have lived together at this address. It is commonly believed that Wolsey and Larke had two children together. The first, a son, by the name of Thomas Wynter who was born in 1510. Wynter being Wolsey’s son has been disputed with claims that he was actually his nephew and not his son at all. Wolsey was said to have publicly promoted Wynter as his nephew.¹ There is no clear reasoning as to why his last name was Wynter and not Wolsey (that I’ve been able to find, other than speculation). When Wolsey’s status rose he became ashamed of having a mistress and chose to marry Joan off to a man by the name of George Legh. He also paid her dowry. At some point their son was sent to live in Willesden, and their daughter was adopted by John Clancey. L. and P. Hen. VIII, iv, 3095; the king presented on account of the minority of the patron. Thomas Winter is usually stated to have been the son of Cardinal Wolsey, but was perhaps his nephew. He appears at this time to have been only a boy, and in 1519 was learning Latin. In 1528 he was living in Paris, continuing his studies. The manner in which benefices and dignities (e.g. the deanery of Wells, the archdeaconries of York, Richmond, Suffolk, and Norfolk) were heaped upon this non-resident youth is a singular illustration of the zeal for Church reform sometimes attributed to Cardinal Wolsey. Winter appears to have resigned his preferments at or soon after the cardinal’s fall, and nothing more is known of him. Wolsey and Larke supposedly also had a daughter named Dorothy (mentioned above) who was born in 1512. Dorothy eventually was adopted by a man named John Clancey after her mother lost favor with Wolsey. 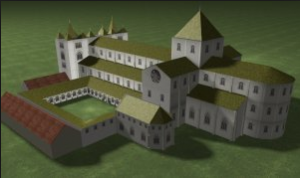 Later she was placed in the Shaftesbury Abbey, a much favored convent for the daughters of the wealthy, and became a nun. When the abbey was later dissolved Dorothy received a pension from Thomas Cromwell. We’ll never know for certain whether or not Thomas Wynter and Dorothy Clancy were the children of Thomas Wolsey, but from what I’ve read it seems pretty clear that they were. Well, at least he saw to their education and that they were properly looked after. I haven’t done any research about the 2 children, but I guess that when Wolsey began to rise, he didn’t care to acknowledge the children and got rid of Joan pretty quick. Wonder if he had any contact with the kids while they were growing up. Do you know where john Clancy was born or where he came from.